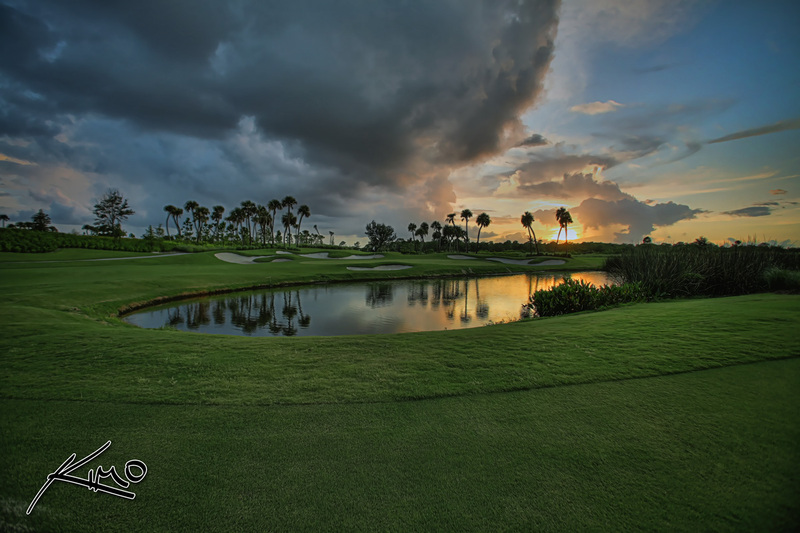 HDR photography image photographed using a Canon 5D MK1 digital SLR camera. 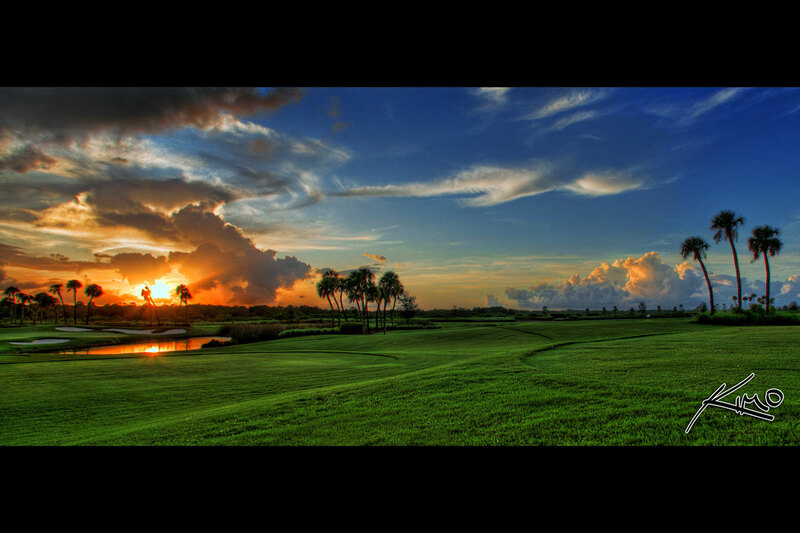 This high dynamic range photo was merged & tone mapped using Photomatix HDR software. 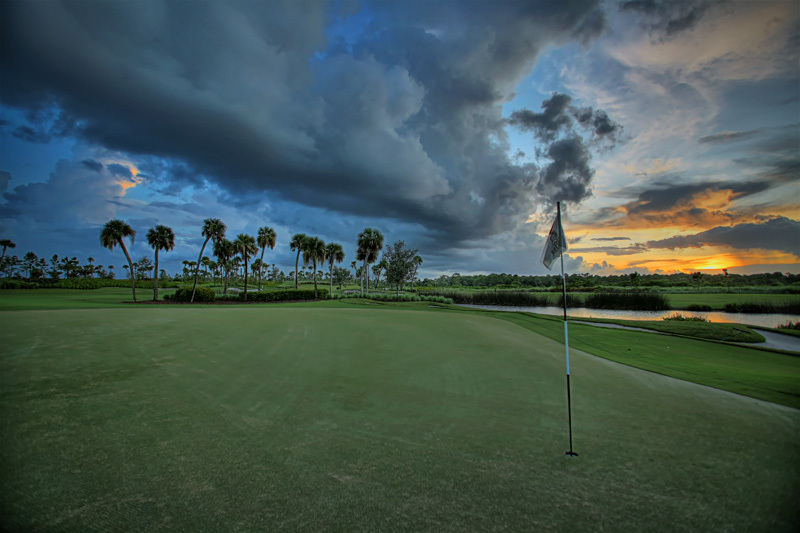 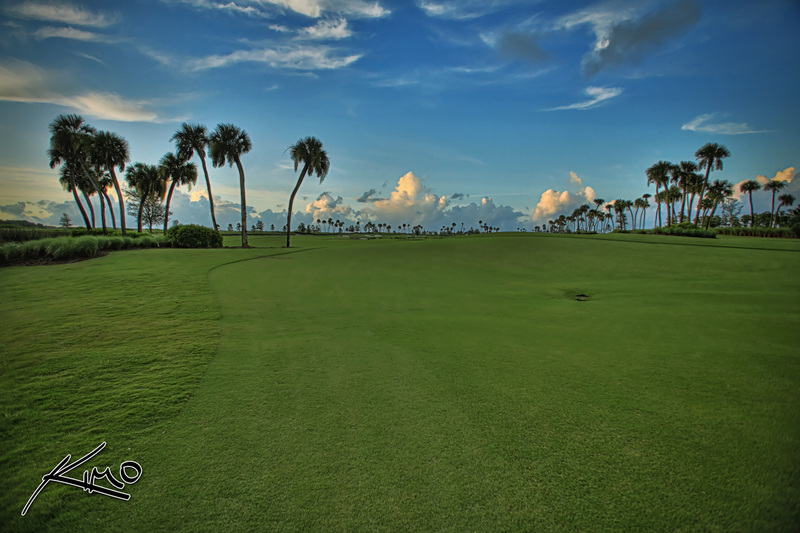 HDR image of a golf course in Jupiter while photographing the fountains at the Jupiter Country Club. 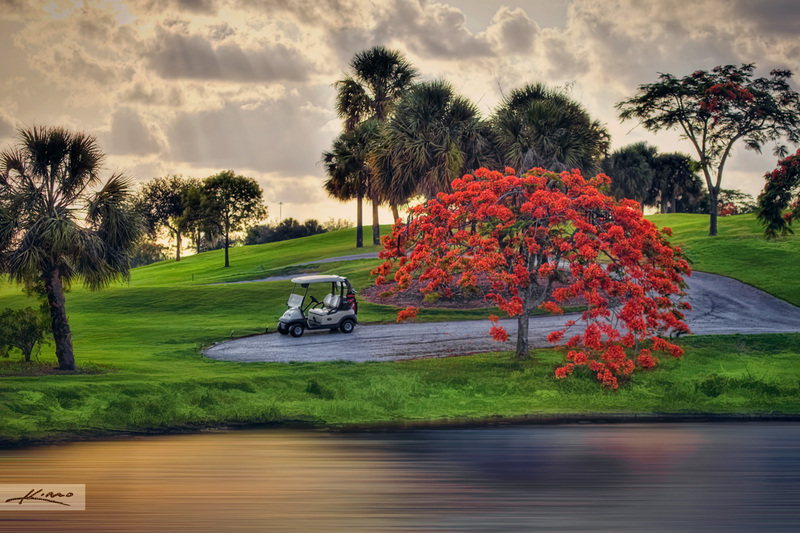 The goal that night was to shoot fountains but I couldn’t resist photographing the local golf course.